Salt Lake City is pleased to announce that Square Kitchen has been awarded a competitive $350,000 grant to develop a culinary incubator kitchen in the Poplar Grove neighborhood. The new Square Kitchen will provide accessible and affordable commercial kitchen space to budding food entrepreneurs, in addition to regulatory, marketing and business resources. Earlier this year, Mayor Becker and the Salt Lake City Council approved $600,000 to support the development of a Culinary Incubator Kitchen in Salt Lake City. $350,000 was available through a competitive grant process, while the additional $250,000 was made available through a loan. Proposals were submitted last summer to create and operate a culinary incubator kitchen. The selection of Square Kitchen is another important step forward for a project that began over two years ago. In 2013, Salt Lake City’s Food Policy Task Force, in partnership with the Sustainability Division, worked with Carbaugh & Associates to conduct the Culinary Incubator Kitchen Feasibility Study (PDF). This study identified a strong demand for an incubator kitchen, while outlining the key components needed to create a successful project for the Salt Lake City community. Square Kitchen, LLC was established in March 2015 by Analia Valdemoros, MCMP and Tham Soekotjo with the mission of building a culinary kitchen incubator facility accessible to all community members. Together, Valdemoros and Soekotjo have over 16 years of diverse experience as urban planners, entrepreneurs and local food business owners. “Square Kitchen is thrilled to work with Salt Lake City in providing new and experienced food entrepreneurs with an affordable state-of-the art kitchen facility, sizable storage space, training opportunities to grow their food business, and most importantly, a gathering place to cultivate and increase food diversity in our city,” said Valdemoros and Soekotjo. Square Kitchen is finalizing site plans and will break ground on the new facility in early spring 2016. The new kitchen plans to open its doors for business in July 2016. For more information and to follow the progress of the Culinary Incubator Project, please visit www.SLCgreen.com. 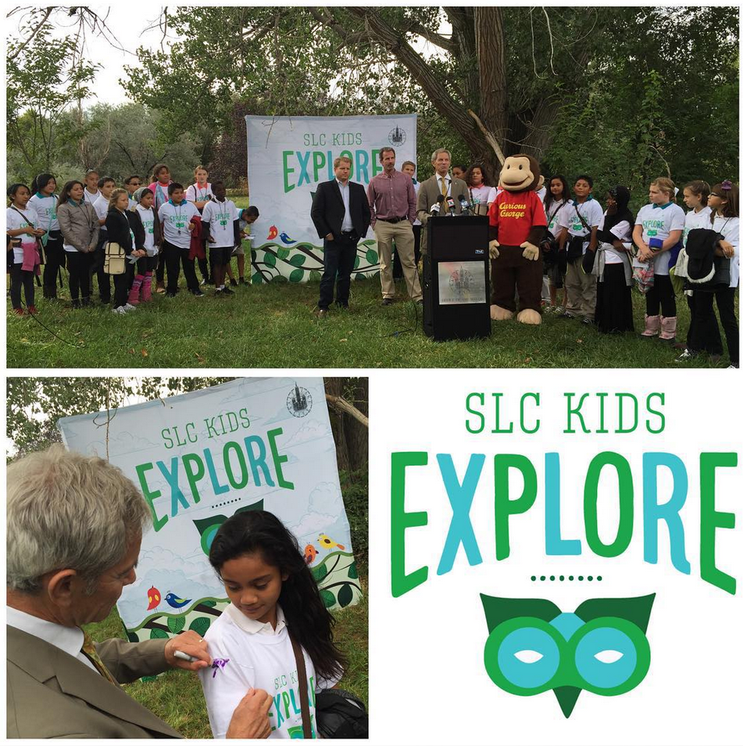 SALT LAKE CITY – Mayor Ralph Becker launched the SLC Kids Explore program on Thursday and issued a challenge to local youth (and their parents) to spend at least 30 minutes a day outdoors connecting with nature for a 30-day period. SLC Kids Explore was designed to create exciting new outdoor opportunities for students and to raise public awareness about the enormous health and societal benefits of spending time in nature. 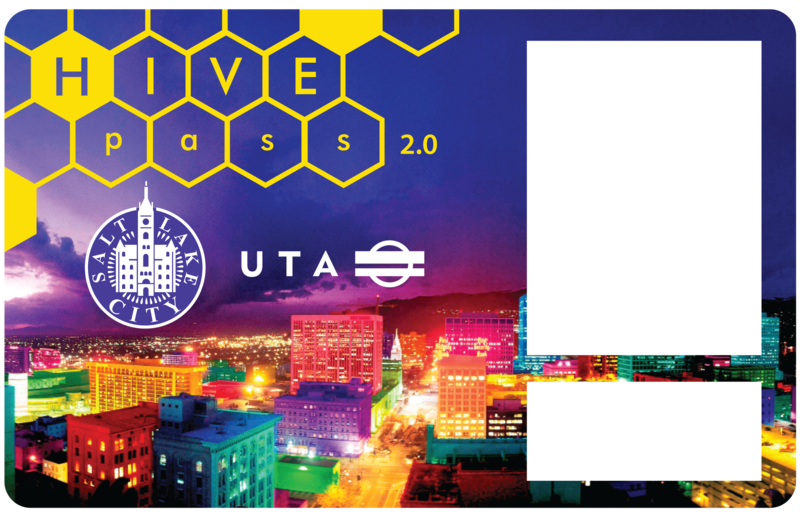 A directory of free nature activities is available on the new public calendar at www.goseekdiscover.com with suggestions on different ways families can get active while having fun and exploring new dimensions of Salt Lake City. Participants can post their activities, share stories and earn activity pass rewards for themselves and their families. An important element of SLC Kids Explore is to lay the groundwork, through education and outdoor experiences, to cultivate the next generation of local environmental stewards. These young people will certainly be tasked with addressing the increasingly devastating effects of climate change and the mounting pressures on ecological balance. For many Salt Lake City children, more contact with nearby nature, surrounding mountains and parks will literally open up new vistas with lifelong impacts. 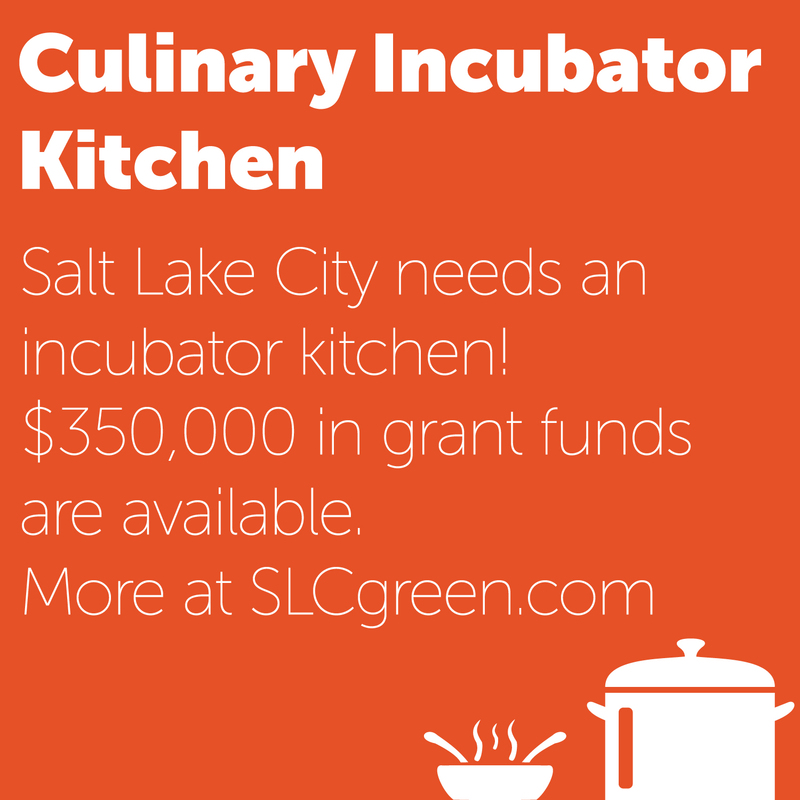 Salt Lake City is soliciting proposals from qualified individuals, government partners, non-profit organizations, for-profit business, and institutions to develop and manage a Culinary Incubator Kitchen (CIK) located within the Salt Lake City boundaries. The Mayor and Salt Lake City Council have approved a total of $600,000 to support the development of a Culinary Incubator Kitchen in Salt Lake City. $350,000 will be available through a grant, while the additional $250,000 will be made available through a loan. What is an incubator kitchen? An incubator kitchen is designed to give small food businesses a competitive advantage when entering or continuing in the local marketplace by providing an affordable certified kitchen space for food prep. Applicants should present a proposal to plan, construct, and operate the CIK in Salt Lake City using either an existing commercial kitchen or a commercial kitchen constructed specifically for this CIK project. Interested parties must submit a Letter of Intent (LOI) to the Division of Sustainability by May 17, 2015 by 12:00 a.m. MDT. Visit SLCgreen.com to download the grant application and learn more about this exciting opportunity! Water conservation starts at home! 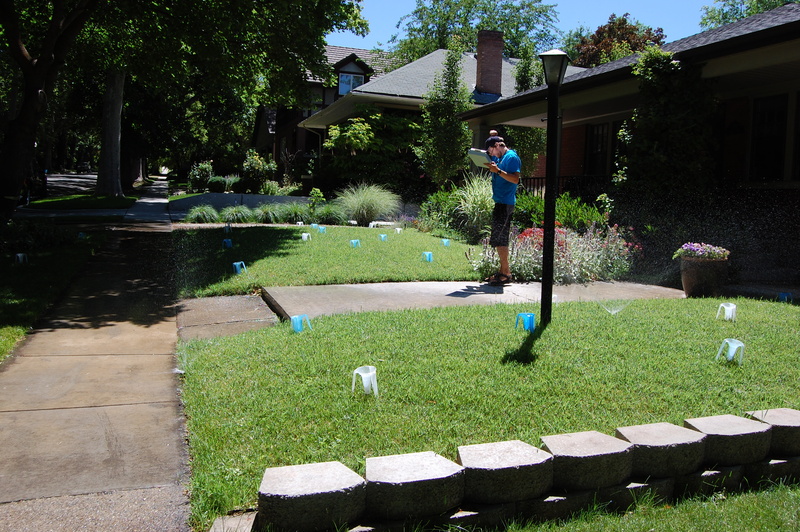 Register for a free sprinkler check by calling 1-877-728-3420. SALT LAKE CITY – Mayor Ralph Becker is working to protect Salt Lake City’s water supply in the face of another year of below average snow levels and spring run-off for Salt Lake City by declaring a Stage 1 Advisory in accordance with the Salt Lake City Water Shortage Contingency Plan. A Stage 1 Advisory calls for water customers to be watchful in regards to water use by avoiding overwatering and water waste. The Salt Lake City Public Utilities Department is closely monitoring water supply levels and demand patterns to determine if further declarations are warranted. While the City’s current overall water supply is about 90 percent of normal, stream flows are very low, prompting the Stage 1 Advisory. Mayor Becker has been actively working to address climate change at both the local and national level for many years. 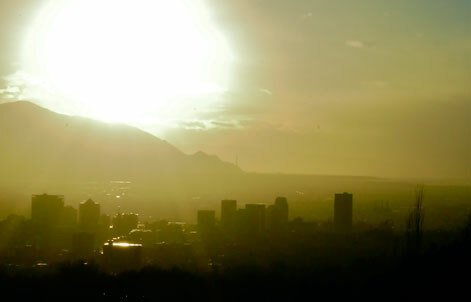 In addition to implementing a wide array of cutting-edge sustainability practices in Salt Lake City, Mayor Becker also served on the White House Climate Change Task Force which developed recommendations for the federal government on mitigating the damage caused by climate change in local communities like Salt Lake City. The Water Shortage Contingency Plan outlines five water shortage stages triggered by water supply levels, stream flows, and water demand. It also provides recommendations for actions within each stage aimed at reducing water demand to levels that reflect current supply and future water needs. For more information on how to reduce water use or to view the Water Shortage Contingency Plan, visit www.slcgov.com/waterconservation or contact Stephanie Duer, Water Conservation Manager at 801-483-6860 or stephanie.duer@slcgov.com.